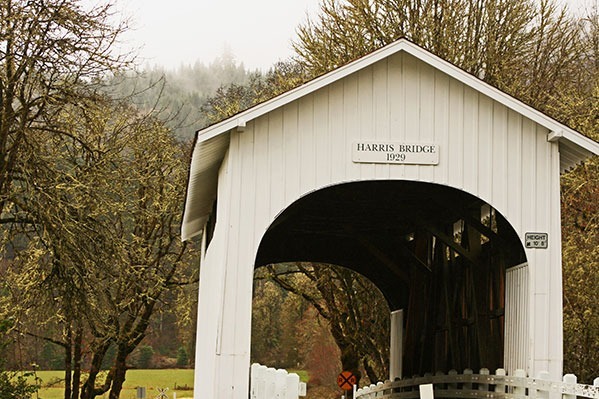 The Harris Bridge was built by H. W. Fiedler to replace a covered bridge at the same site. Although Benton County records show 1936 as the construction date, some locals claim the span may have been built in 1929. The Harris Bridge retains its rounded portal design and other features include narrow windows below the roofline to light the bridge interior and longitudinal deck planks.